Mt. Vernon - Pleasant St.
Mt. Vernon - Wiggin St.
Beautiful 2 story home for sale in Centerburg, Ohio that features 4 bedrooms, 2 full baths, and over 1,900 square feet of living space. This property includes convenient main level laundry, a pretty cabnet filled kitchen with major appliances, an adjoining dining area and family / living room highlighted with a wood burning stove. Enjoy a first floor bedroom / possible den, relaxing rear deck, and front patio space. 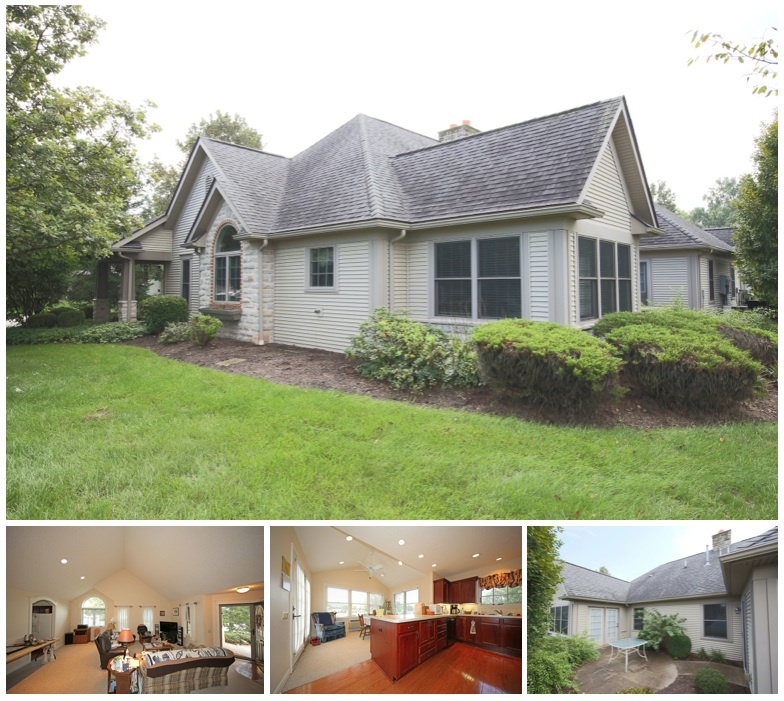 This Delaware County home has a gorgeous 5 acre setting that features 2 small ponds and a partial wooded area. With fantastic features such as the full walkout lower level, attached 2 car garage, shed that offers additional storage space, high efficency propane furnace, and central air conditioning, this Centerburg School District property is very impressive and is priced to sell at $275,000. 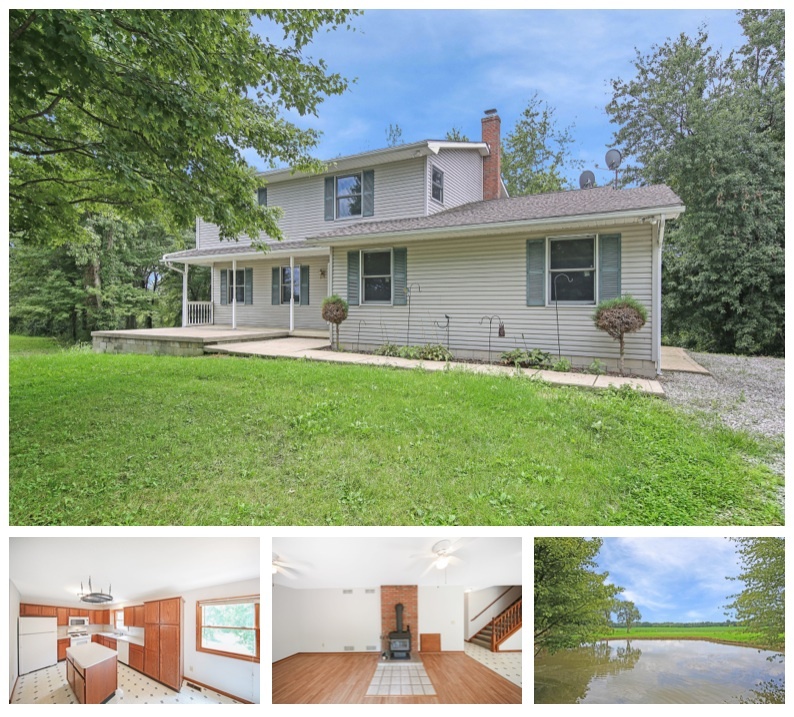 Click here for more information on this 7891 Moody Road home for sale in Centerburg, Ohio, 43011. To find all available homes for sale in Centerburg, Ohio, click HERE. Well maintained 2 bedroom, 2 bathroom condo for sale in Heath, Ohio. This beautiful property offers convenience of main level laundry, low maintence, and a spacious feel. Enjoy a vaulted ceiling living room filled with natural light, stunning cabinet filled kitchen, and adjoining dining area. The owner's suite offers impressive bedroom space and includes an on suite bath and walk in closet. This gorgeous condominium also features a relaxing covered patio space, central air conditioning, forced natural gas heat, an oversized attached garage with bonus storage space, concrete driveway, and desrable location nearby local shopping and restaurants. Located in the Heath City School District, this lovely condo is priced to sell at $195,000. Click here for more information on this 443 East Cottage Grove condo for sale in Heath, Ohio, 43056. 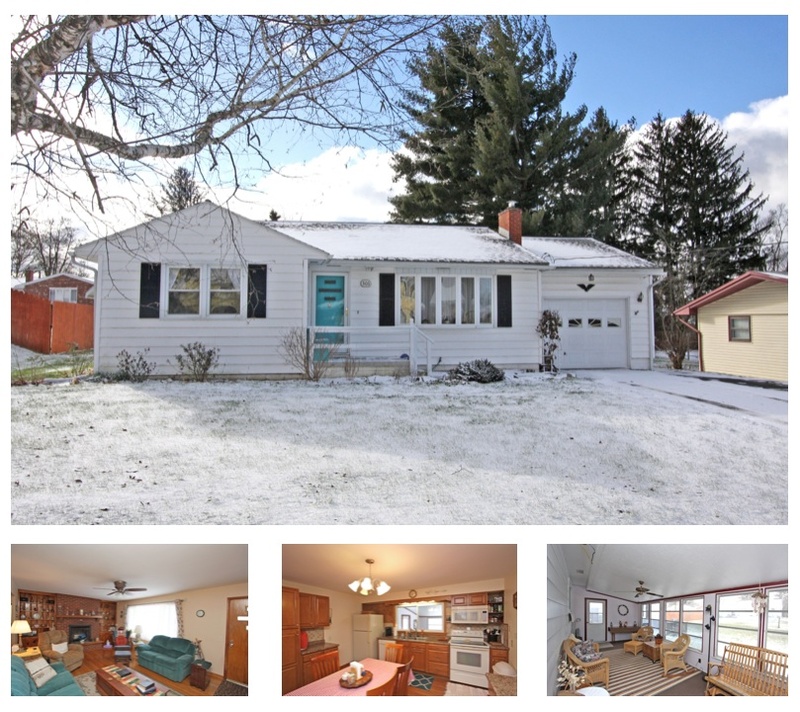 Charming 2 bedroom ranch home for sale on the North end of Mount Vernon, Ohio. This property features a huge living room with a fireplace and adjoining dining area as well as a cute and cozy kitchen with ample cabinet space and an eat in area. Enjoy built ins for added storage space, a semi finished basement that offers an additional fireplace and family room, as well as a level, easy to care for lot comprised of 2 parcels, totaling in almost half an acre. This lovely home includes a relaxing covered front porch, attached 2 car garage, concrete driveway, central air conditioning, forced natural gas heat, nice sized back yard, and is situated in the Mount Vernon City School District (Dan Emmett Elementary). With nice major updates and the convenience of being nearby local shopping, ice cream shops, parks, and medical needs, this is a great starter home and is priced to sell at $125,000. Click here for more information on this 131 Mansfield Avenue ranch home for sale in Mount Vernon, Ohio, 43050. To find all homes for sale in Mount Vernon, Ohio, click HERE. 3.98 Acres With Road Frontage and Located in Centerburg School District! Land for sale located on Graham Road in the Centerburg, Ohio School District with road frontage on both Bishop Road and Graham Road. 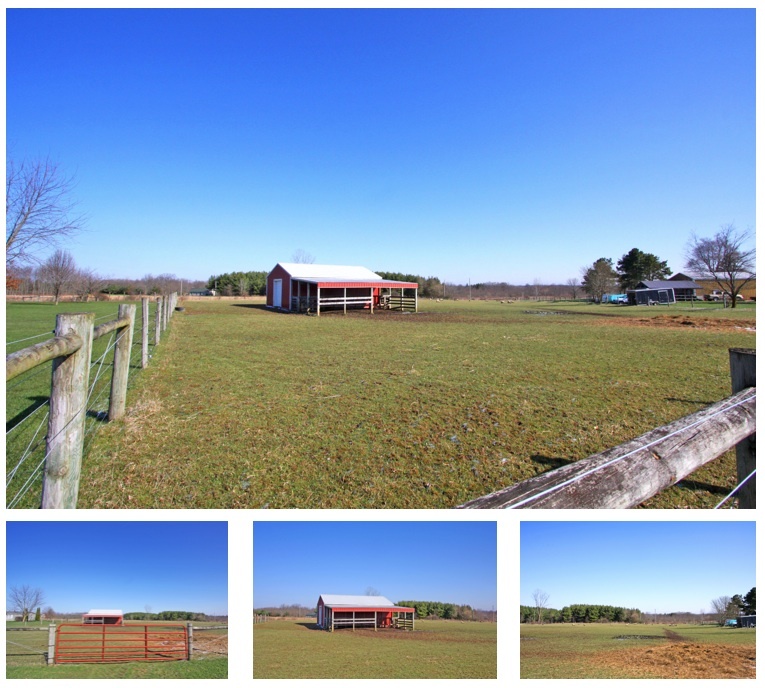 This property is in Milford Township and includes a 32 x 24 pole barn and a fenced pasture. Ideally located between Mount Vernon and Centerburg, Ohio making it a perfect future home site for anyone commuting to Columbus, Ohio and the surrounding communities. $65,000. Click here for more information on these 3.98 acres for sale on Graham Road in Centerburg, Ohio School District. To find more vacant land for sale in the Centerburg, Ohio School District, click HERE. Find available acreage for sale in Knox County, Ohio by clicking HERE. 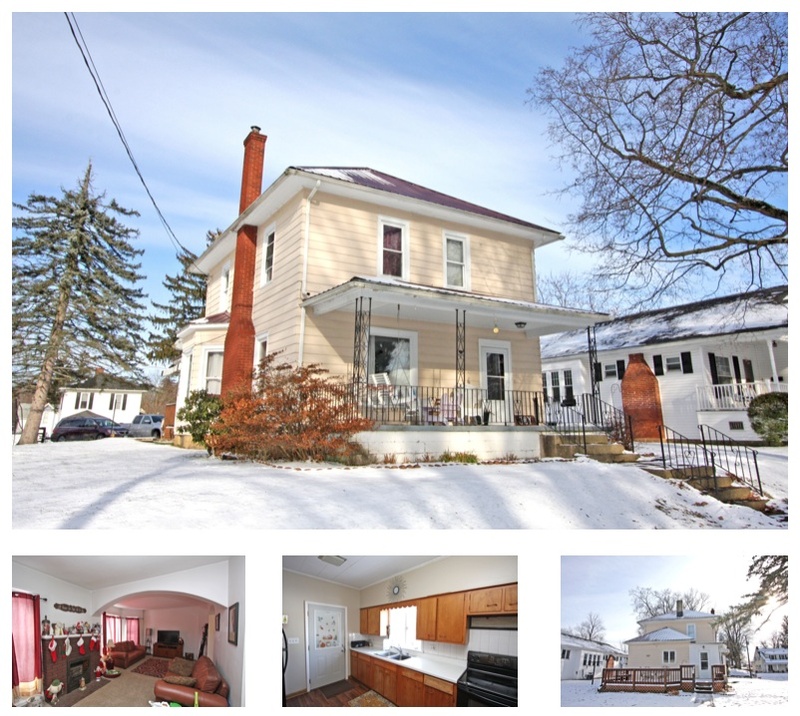 Attractive 3 bedroom home with classic styling and lots of charm throughout. Open staircase entrace foyer with an extra large living room, spacious dining room with gorgeous easy care laminate flooring. Cabinetry filled kitchen that includes extra nice range and refrigerator, many updates such as vinyl windows, modern electric breaker box, a newer metal roof, there's a covered front porch with room for a porch swing, big deck that is perfect for cookouts, extra big 2 car garage with high ceilings and concrete flooring. You will be impressed with this home especially for $89,500. Click here for more information on this 505 East Hamtramck Street Home For Sale in Mount Vernon, Ohio, 43050. To find more homes for sale in the Pleasant Street Elementary School District, click HERE. 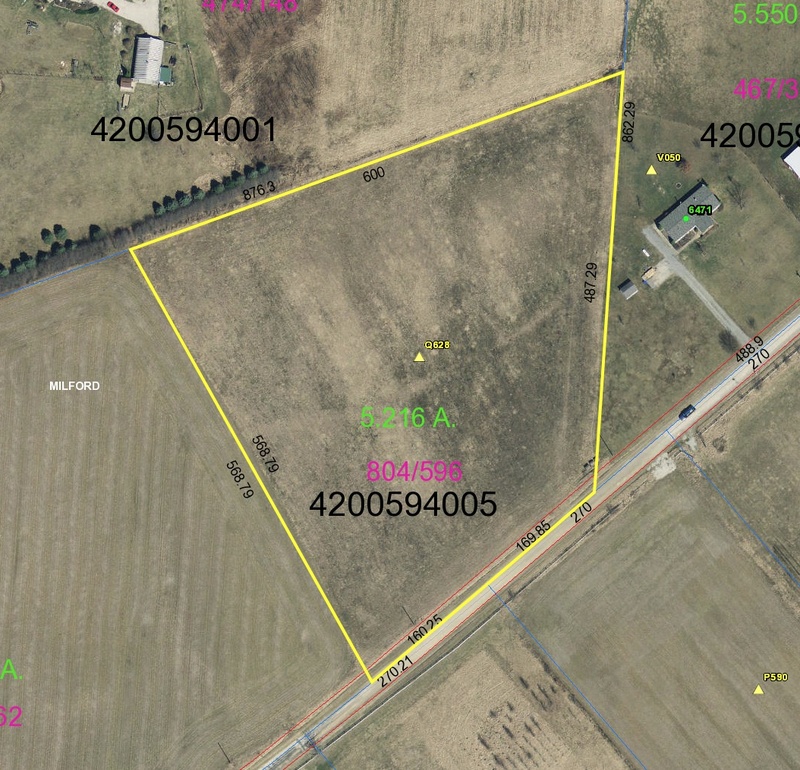 Click here for more information on this 5.21 acres for sale in Mount Vernon, Ohio, 43050. Find available land for sale in the Centerburg, Ohio School District, HERE. To find more available acreage for sale in Knox County, Ohio, click HERE. 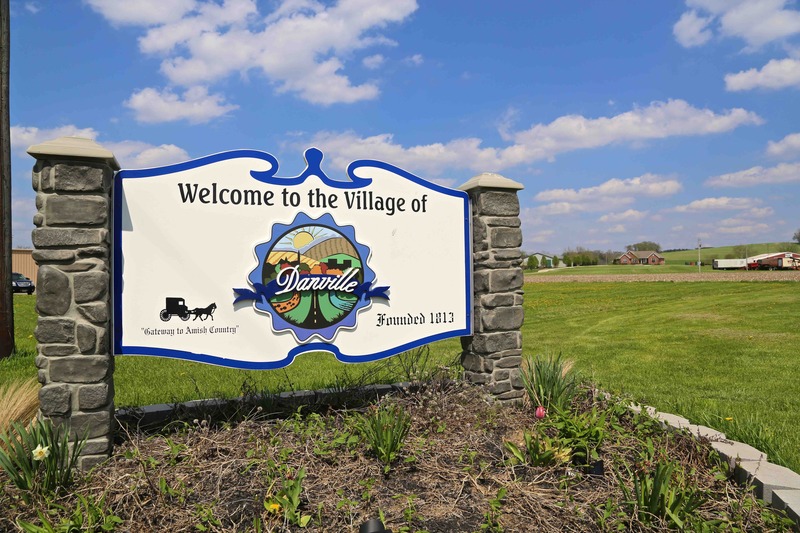 The Danville, Ohio community is a popular small town in Eastern Knox County that is known as the Gateway to Amish Country with State Route 62 right through the heart of the village. Homes and land in the Danville community are considered affordable and most homes located inside the village are selling under $100,000 with some smaller acreage properties in the country selling in the $100,000 to $250,000 price ranges. One of things that is interesting about Danville is that it is a tight knit commuity and many of the Danville homeowners tend to stay in their homes longer than the national average. 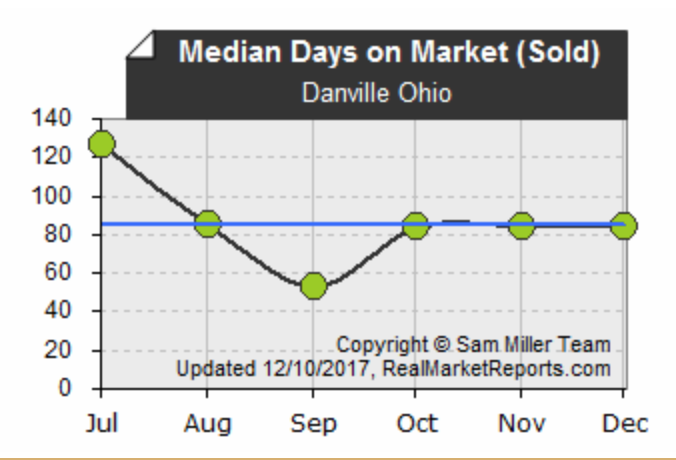 CLICK this link and youu can view our weekly Danville Ohio Real Esate Market Report which features the latest trends such a median sales price, the current absorption rate and the median days on market for a residential home in Danville. If you are in the market for a Danville, Ohio home you can view all of the available homes for sale in Danville, Ohio regardless of which real estate brokerage or agent has them listed by viewing this page which is brought to you by The Sam Miller Team of REMAX Stars Realty. 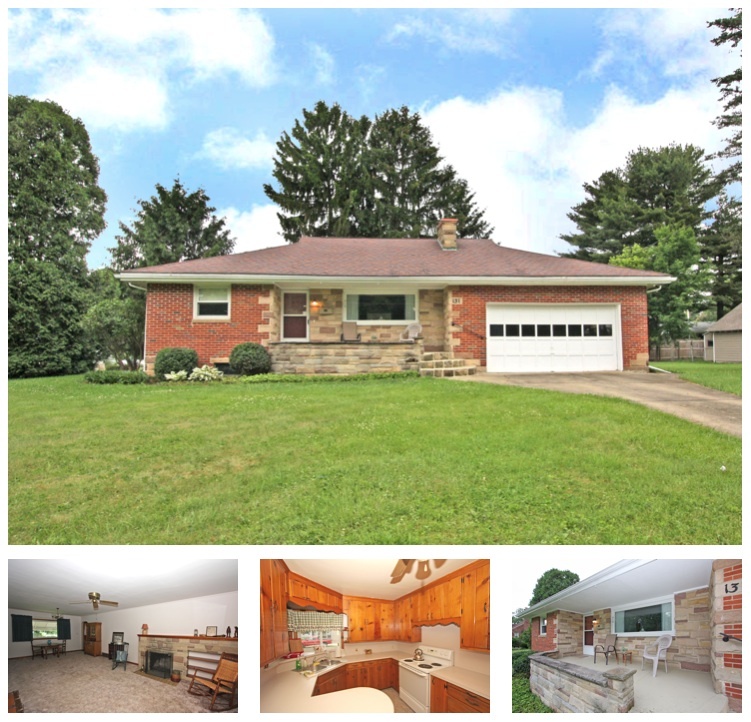 Adorable 3 bedroom and 2 full bath ranch home for sale on Kimberly Drive in Mount Vernon, Ohio with over 2,000 square feet of living space. This lovely home features a beautifully updated eat in kitchen as well as a nice sized living room highlighted by built in bookcases and a charming brick fireplace. Enjoy the convenience of main level laundry, a relaxing enclosed sun porch and rear deck, and a finished lower level with a huge rec room / family room. This well maintained property also features forced natural gas heat, central air conditioning, an attached garage and paved driveway, and a yard barn for added storage. Priced to sell at $129,500. Click here for more information on this 306 Kimberly Drive home for sale in Mount Vernon, Ohio, 43050. To view all available homes for sale in Mount Vernon, Ohio, click HERE. Searching for available Danville Ohio Homes For Sale is quicker and easier when you use this specialized real estate listing link: Danville Ohio Homes For Sale. We created a Danville community specific customized website page that is fully automated and it autopopulates the newest real estate listings. This unique page is instantly updated the moment a new Danville, Ohio real estate listing is uploaded onto the Knox County MLS. Imagine not having to search every real estate website to find all of the Danville Ohio homes for sale regardless of which broker or company has them listed - just bookmark this page and now you have a quicker and easier way to view homes for sale in the Danville, Ohio community. CLICK HERE for Danville, Ohio Homes For Sale. Each year, typically in the month of June, the National WACO club flies in to gather together at the Wyncoop Airport on Granville Road in Mount Vernon, Ohio. 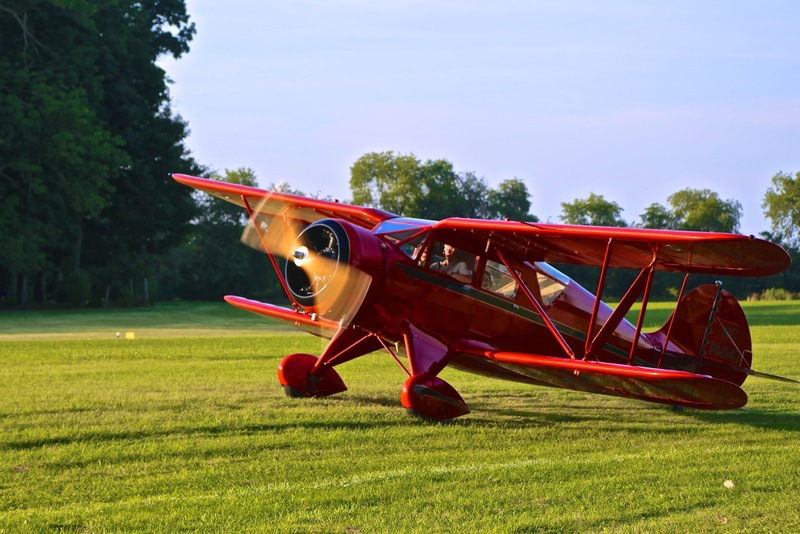 This gathering is comprised of those who are current owners of WACO planes, past owners, and admirers who have a passion for the Waco Aircraft Company and these dazzling aircrafts. Pilots and owners put in countless hours of restoration and maintenance to preserve the pristine condition of their biplanes. The national WACO club is considered the oldest aircraft club in the United States and was founded in 1958. Plans are set for the next National WACO club homecoming, scheduled for the dates of June 21st, 22nd, 23rd, and 24th of 2018 at the Wyncoop Airport located at 9051 Granville Road in Mount Vernon, Ohio, 43050. Membership is open to anyone with a passion for the WACO aircraft, whether it be a previous / current owner of a WACO aircraft, employee, or someone who simply appreciates the beauty in their engineering. This is a relaxed get together of pilots flying their beloved aircrafts in and marvel at fellow club member's prized possessions. This feature article is part of our ongoing series titled 365 Things To Do in Knox County Ohio by Sam Miller of REMAX Stars Realty 740-397-7800. 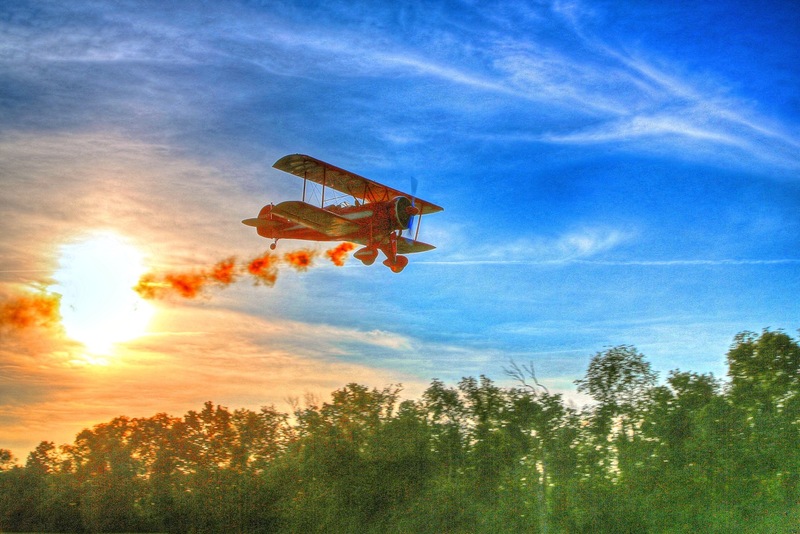 If you love attending the National WACO Biplane Reunion, you can make Mount Vernon, Ohio your new home! Click here to find homes for sale in Mount Vernon, Ohio.